Kitchen countertops, tables, kitchen islands and peninsulas, snack counters: plenty of surfaces in the kitchen can be used as worktops and for putting down kitchen utensils during meal preparation. For all of these surfaces, the priorities every day are easy cleaning, constant hygiene, practicality, and resistance to heat and to the possibility of scratching and blows. Without, of course, forgetting the importance of durability and inalterability for all the surfaces in the kitchen. Starting with these features, the most innovative, hygienic, resistant material on the surfaces market is without a doubt top quality porcelain. For the properties of its porcelain, the Iris Ceramica Group has always been in the vanguard of design and production of the best beautiful high-tech ceramic, and its SapienStone brand is entirely dedicated to top-quality latest generation kitchen countertops. With a vast gallery of different effects and colours suitable for all decorating styles, from classic to contemporary, SapienStone brings all the qualities of the Iris Ceramica Group’s best porcelain into the kitchen and into our everyday lives. Kitchens both large and small, even those of cafeterias and restaurants, stand to benefit from SapienStone’s unenamelled ceramic surfaces. The choice of SapienStone, the best kitchen countertop around today, offers a number of objective benefits. Let us take a look at them, one by one. - Maximum resistance to heat and to temperature excursions: hot kitchen utensils, from coffee pots to pans just taken off the heat, can be placed directly on SapienStone porcelain surfaces. This is very convenient, and unthinkable with other kinds of countertop, which require a heatproof pad between the heat source and the surface. - Hygiene. Porcelain’s non-absorbency prevents the proliferation of bacteria that can take place with porous materials. Non-absorbency means impenetrability: the porcelain surface therefore also prevents corrosion resulting from contact with liquids or grease, which stay on the surface and can easily be wiped off with a soapy sponge. SapienStone porcelain does not contain any toxic substances or solvents; no coloured resins or protective varnishes are used in its manufacture. It follows that "once dirt has been removed (using an ordinary detergent or soap), the countertop is perfectly sanitised, an essential quality for a surface in contact with food". - Long-term inalterability. Another much-appreciated property of porcelain is its technical and aesthetic durability. The choice of kitchen countertop is a very important one as this is not an accessory that can easily be changed. And as it is made of "ceramic clays and unalterable mineral colours", SapienStone is not affected by heat, sunlight or artificial light, or by use of chemical cleaning products and disinfectants. 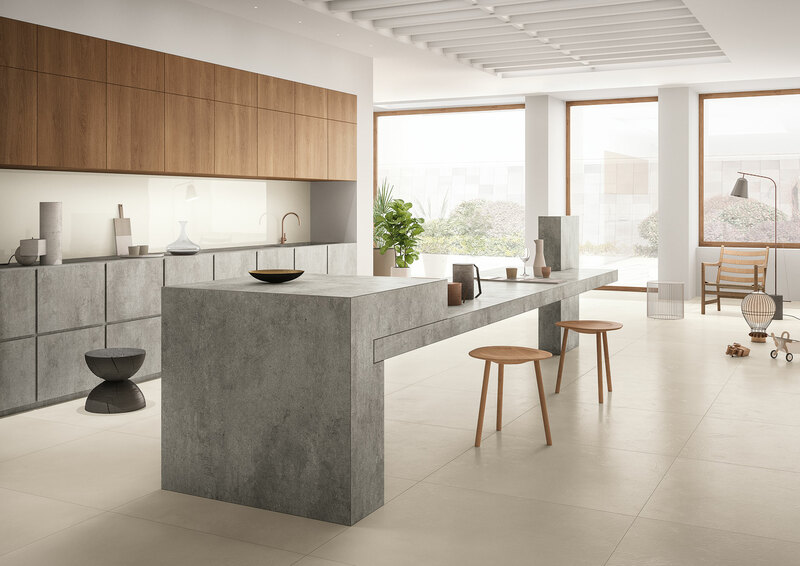 On January 14 through 20, SapienStone participated in the important trade fair LivingKitchen 2019 at Koelnmesse in in Cologne, during IMM Cologne. An important international event for kitchens and home furnishings, LivingKitchen 2019 presented all the new proposals for the kitchen. 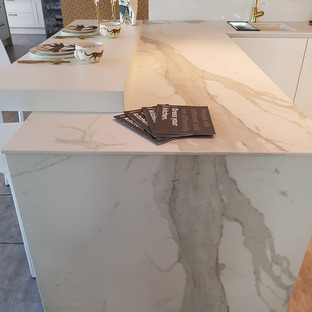 At a stand shared with the Fiandre and Iris Ceramica brands, SapienStone presented two new colours, Uni Pepper and Calacatta Light, adding to its recent Rovere collection, starting out the year 2019 on the right note of creativity and versatility for the contemporary kitchen.